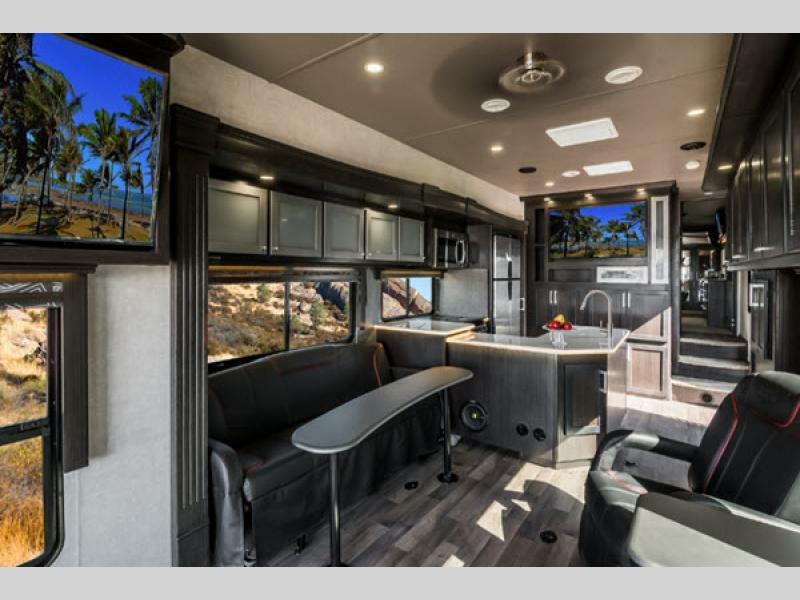 The Eclipse Iconic Wide Body toy hauler fifth wheel offers a convenient travel experience for everyone! 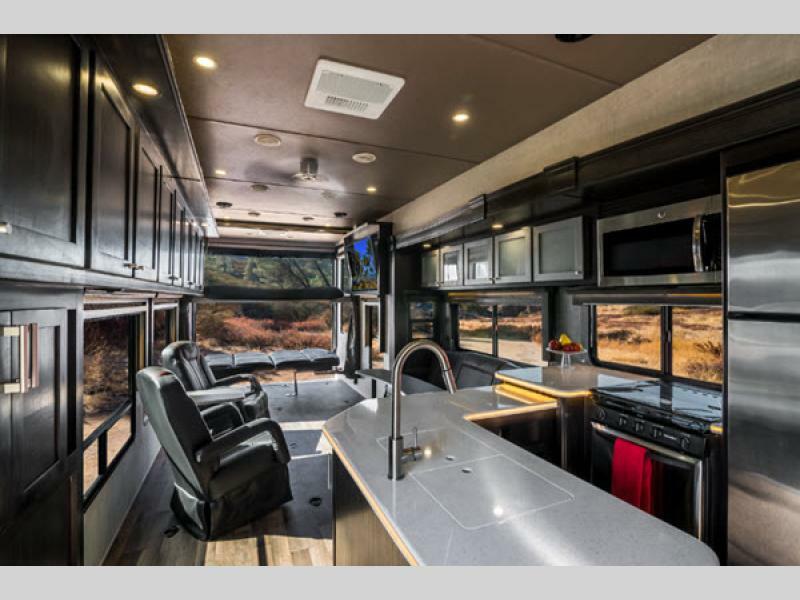 Whether you are vacationing in the woods or near the beach, let the Wide Body do the work in getting you and your off-road toys to your destination. 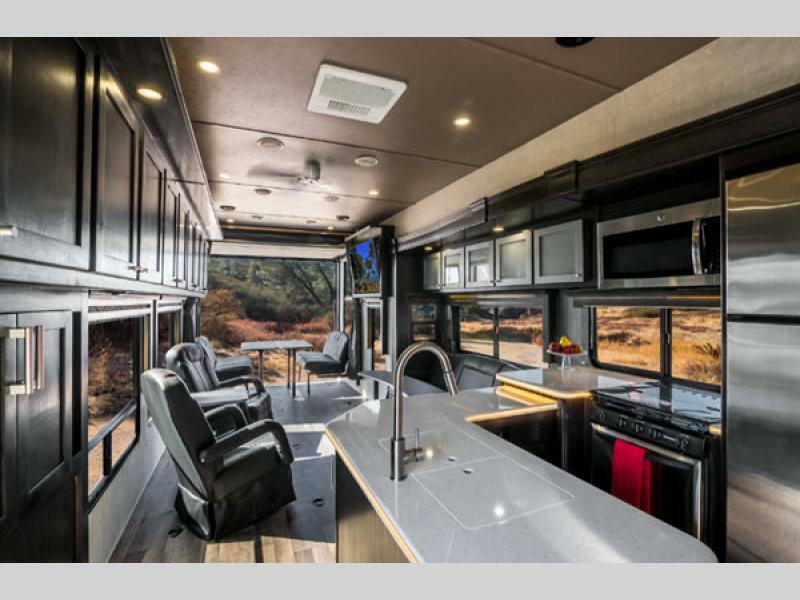 After a day out enjoying your the toys that you hauled, you can relax with all of the comfortable features in your fifth wheel. 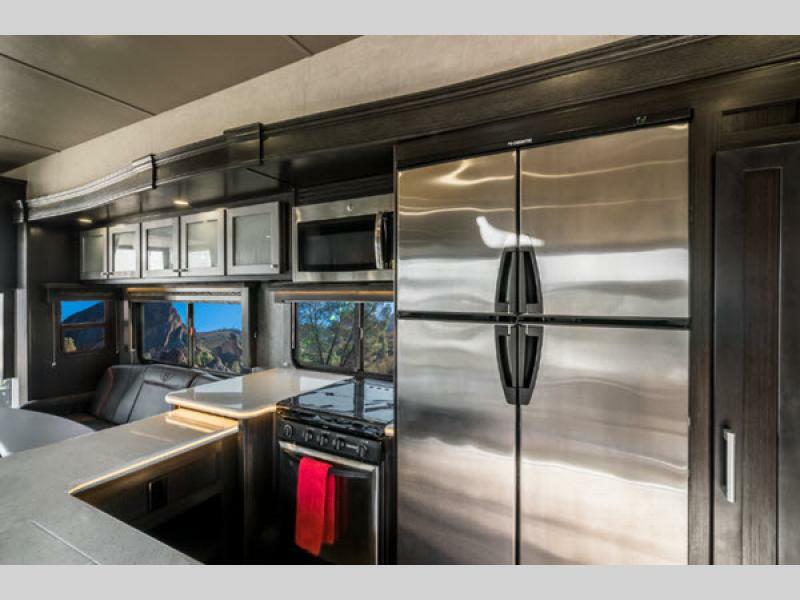 Each model offers a full kitchen, so fixing your favorite meal while on the road is easy! 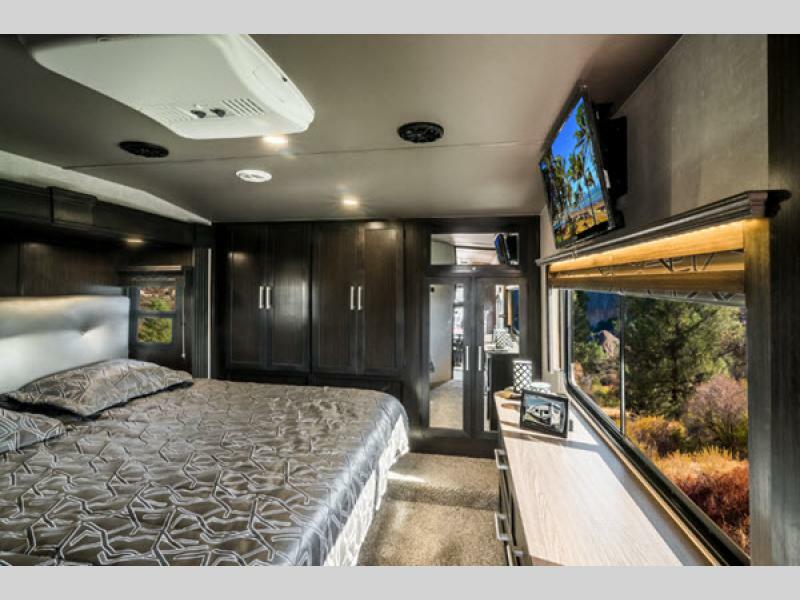 After a full day outside, enjoy the comforts of the king-size bed in the master suite with plenty of space for you and your belongings in the full-size wardrobe. 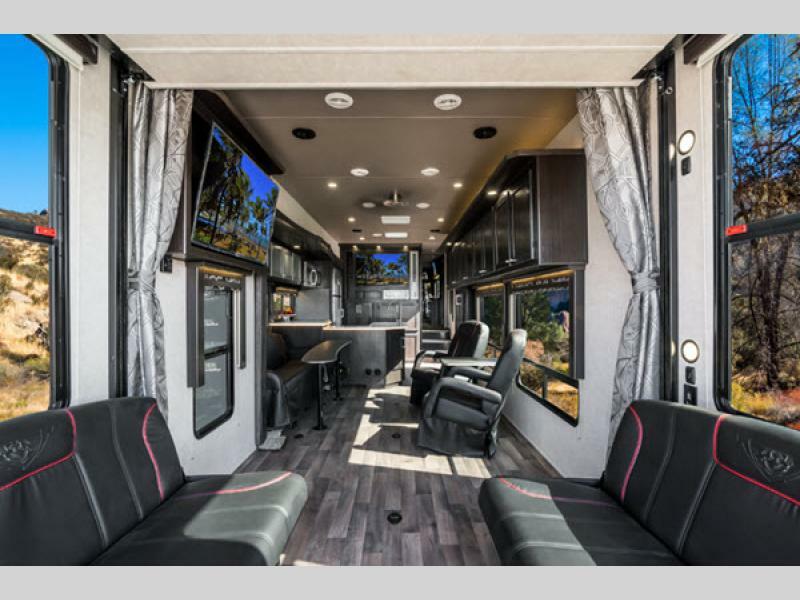 Come get your Eclipse Iconic Wide Body toy hauler today and start experiencing memorable getaways tomorrow!